Everyone owns hair straighteners right? 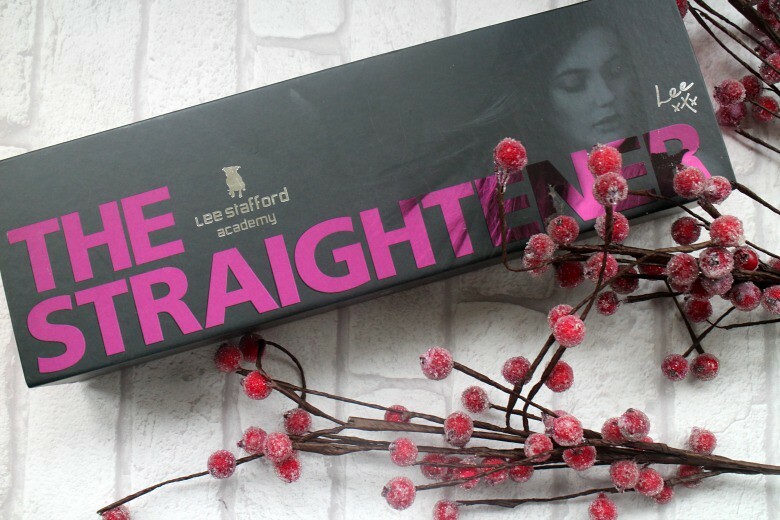 Well not little old me over here so when Lee Stafford got in touch and asked if I wanted to try the Lee Stafford Academy Iconic Flat Iron Hair Straightener* before offering another to giveaway to one lucky reader I of course said yes. I've spoke on numerous occasions how lazy I am with my hair, even more so lately just washing and going but it was time to take a little bit more pride in my appearance. Even my dad asked what was up with my hair when I was observing my wash and go technique over Christmas. I've never had a need for straighteners in their traditional sense and I don't favour the sleek poker straight look, but for curls it is always straighteners my hairdressers use as the curls tend to hold better and I was keen to try at home. The first point of note for the Lee Stafford Hair Straighteners is their LED display which shows the temperature increasing for you to then manage the heat needed for your hair or style of choice. I think many of us have fallen fowl to brands with a 'one size fits all' approach that is damaging our hair even more so than needed. Unlike ceramic coated brands the plates on your Lee Stafford Hair Straighteners are made from nano silver titanium to glide through my, or your hair. Again I've dabbled in the past and found myself pulling and tangling my hair and simply abandoning as it's just all a little too much to bother with. I favour a wave as opposed to a curl in my hair and whilst I still need a lot of practice I am finding the Lee Stafford Hair Straighteners one of the better I've worked with and I'm sure in another couple of weeks I'll have my waves styled in mere minutes. You can find the Lee Stafford Hair Straighteners on Amazon retailing for £69.95 at the moment which is a comparable price for the high end brands but with those extra touches they don't have. If you're looking to upgrade or invest in hair straighteners in 2017 then check out the Lee Stafford brand. Before you hit buy now you why not try your luck to win a pair but entering my giveaway which will be running till the 13th February. Simply fill in the form below to be in with a chance to win. Good Luck! It does help when something 'functional' is aesthetically pleasing isn't it!